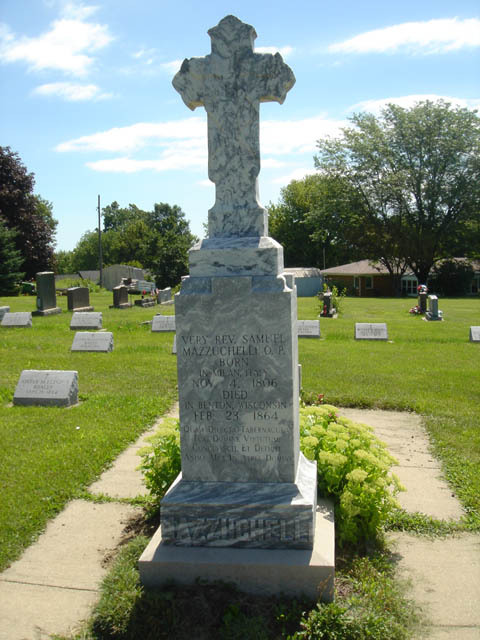 Located approximately 1/2 mile west of Benton Wisconsin on Highway 11 Coordinates Lat N 42:34':22" Lon W 90:24':03"
In 1835 Father Samuel Mazzuchelli Dominican missionary, came to the lead region from the Green Bay-Mackinac frontier. One year later he addressed the opening session of the territorial legislature. Soon he was establishing schools and preparing teachers for the children of the settlers.in 1847 he formed Wisconsin's first teaching sisterhood. 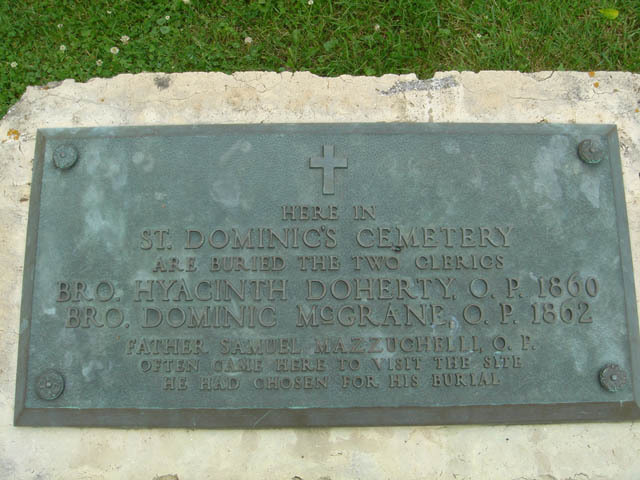 The Sinsinawa Dominican sisters. At Benton he founded St. Clara Academy and taught science with the earliest laboratory instruments. To the Irish miners this American from Italy was "Father Matthew Kelly". To the settlers of many creeds he was civic leader and friend, builder of the city of man and the city of God. 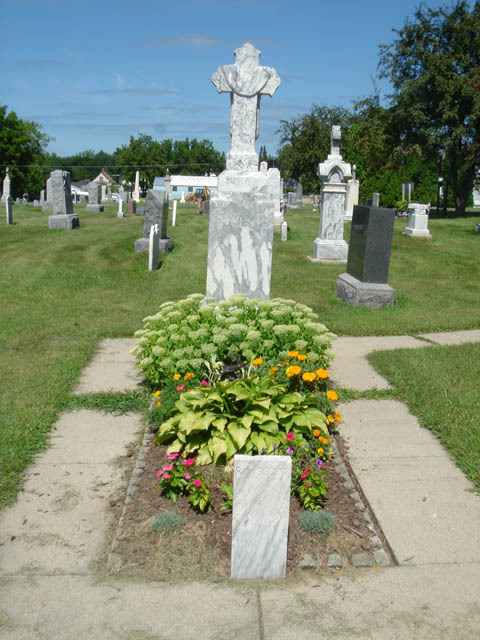 At his death in 1864 Father Mazzuchelli was interred in the cemetery of St. Patrick's Church in Benton, one of the twenty churches he designed and built in the upper Mississippi Valley.